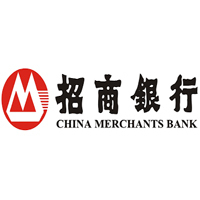 China Commercial Bank Ltd is a business, corporate and investment bank with operations in Dar es salaam Tanzania and it started its operations in July 2015. The bank hereby invites applications from suitable, qualified candidates to fill the following position. The Head of Corporate Banking and SME is charged with overall responsibility for originating and managing the bank's overall global relationship with the corporates, small and medium enterprises. Corporate Banking and sme's portfolio comprises of a wide variety of industry segments. The job holder need to have the strategic vision and technical skills necessary to respond to the dynamic environment in the country. • Oversee the formulation and implementation of the corporate banking division strategy. • Originate, maintain and develop relationships in the corporate and SME market. • Develop the marketing and sales strategies of the corporate banking and SME division with a focus on growing the business volumes, customer base and income. • Manage a corporate loan book within parameters provided by Risk Management Department. • Negotiate terms and conditions and prepare credit applications for new loan facilities for Corporate Banking and SME clients. • Present and defend Corporate Banking and SME credit applications in the Credit Committee. • Spearhead the development of products and services for the corporate banking division. • Proactively manage the risk management framework for the division. • Liaise with Asset Management to ensure a good deposit mix so as to achieve maximum yields on the fund. • Develop and implement a focused efficient and effective customer service framework which will increase the flow of business from existing customers and generate business from new customers. • Build and maintain client relations by attending to inquiries, resolving queries and providing relevant information. • Interface and establish close working relationships with other financial institutions in the country to develop partnerships. • Organize, manage and motivate the available human capital within the Corporate Banking & SME division through the establishment of suitable organization structure and implementing development programs to optimize competence and productivity. • Indicate market, sector and technological trends and developments for the coming years. • Further develop the internal structures for Corporate Banking and SME within the Bank. • Cooperate with other Department Heads to obtain the best financial, operational and commercial results for the Bank. • To do any other duties as assigned by the Chief Executive Officer. • At least seven (7) years' post qualification experience in corporate marketing of which at least twelve (5) must have been in the corporate banking sector. • A minimum of four (4) years' experience in a senior management role in a major banking institution. • A good understanding and knowledge of the Tanzanian market. • Sound understanding of all corporate products. • Demonstrable strong strategic orientation. • Good track record of excellent customer relationship management. • Experience in product development and portfolio management for clientele. • Experience in consumer financial markets with a strong focus on product development. • Self-motivated, flexible, mature and articulate in speech and presentation. • Capable to work in a small team and to take ownership. • Result and quality oriented. • Excellent analytical skills, problem identification and solving skills. • Highly innovative and results-oriented. • Superior business management and negotiation skills. • Strategic leadership skills with demonstrated ability to drive a team to execute and deliver business objectives. • Business acumen and results orientation. • Networking skills, tact and diplomacy.